The United States Army has exercised $65.8 million in contract options for 12 additional UH-72A Lakota helicopters and associated mission equipment packages. 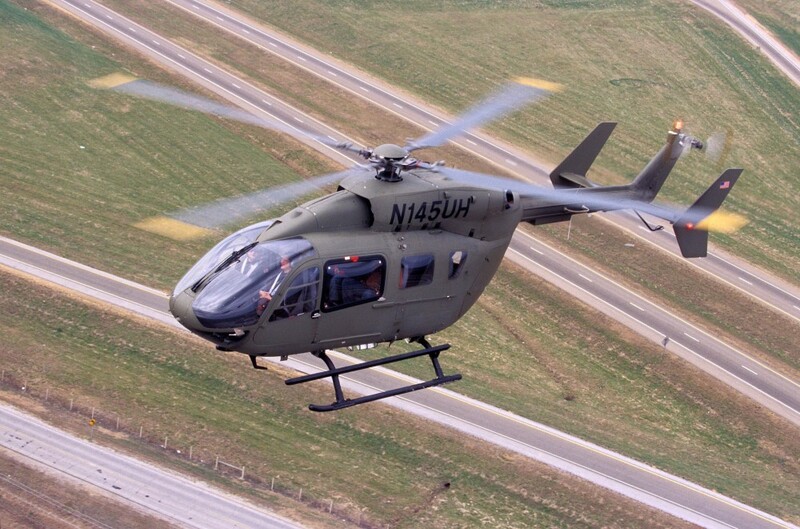 The UH-72A is manufactured by Airbus Helicopters Inc. at its final assembly plant in Columbus, Miss., which has already produced and delivered almost 350 Lakotas to date, all on time and on cost. The UH-72A was competitively selected in 2006 for a broad range of active Army and Army National Guard missions, including training, search and rescue, medical evacuation, border security, command and control, VIP transport and general utility. The 12 aircraft on this latest contract option will be delivered starting in August of 2017, configured for the Army as initial entry rotary-wing trainers. 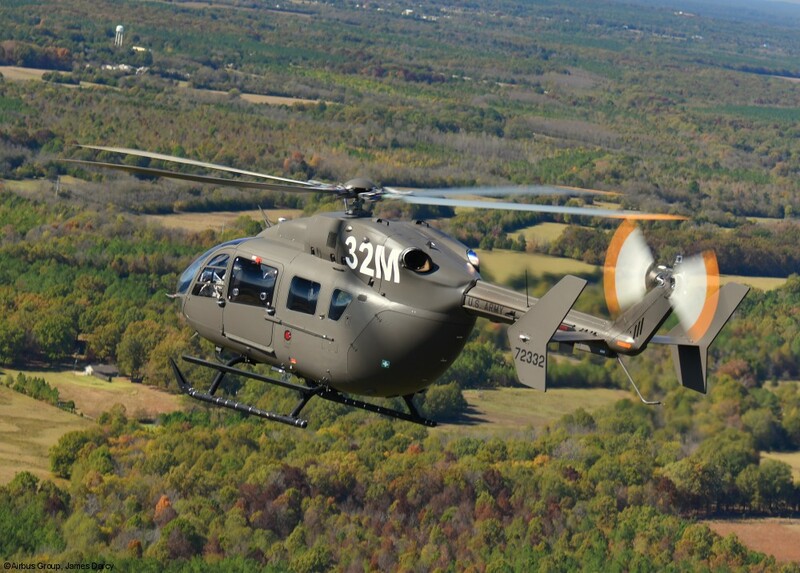 This year the Army has fielded more than 50 Lakotas to Fort Rucker, Alabama, in preparation for the UH-72A’s formal introduction into the training curriculum by early 2016. Ultimately, Army plans call for an initial-entry rotary wing training fleet of 187 Lakotas, made up of a mix of new deliveries and already in-service aircraft reconfigured for the training mission. «Time and again the UH-72A has proven to be the most cost-effective solution to meet a wide variety of needs for the U.S. military and our allies», said Allan McArtor, Airbus Group Inc. Chairman and CEO. «The Army’s flawless execution of the Lakota program has proven that even in today’s challenging defense acquisition environment, there are success stories for the taxpayer and warfighter alike». «Almost half the men and women who build the UH-72A in Mississippi are U.S. military veterans, and some even fly in Lakotas in the National Guard or Reserves», said Chris Emerson, President and CEO of Airbus Helicopters Inc. «Everyone on that production line takes a great amount of pride in their unbroken record of delivering on their commitments, and we hope they’ll be building Lakotas for many years to come». The Lakota continues to meet a wide range of needs for several military user communities. The Navy operates the Lakota in a training role at the U.S. Naval Test Pilot School and the Army National Guard units operating specially equipped Lakotas are deployed supporting Customs and Border Protection missions along the U.S. southwest border. 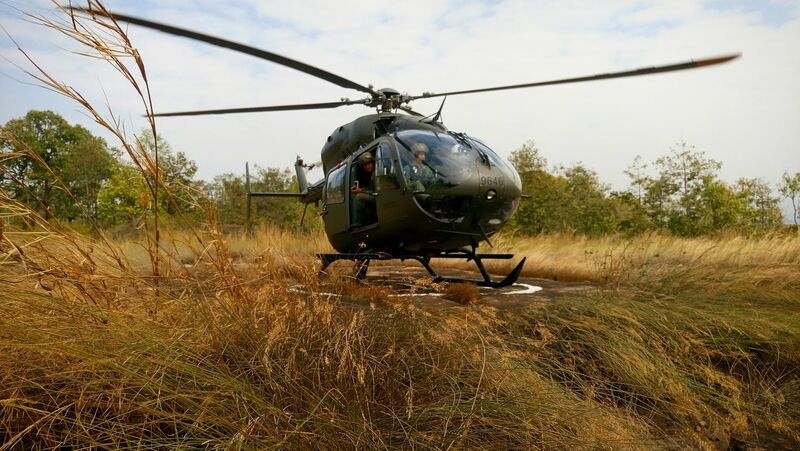 The Royal Thai Army is the first allied operator of the UH-72A, having purchased six aircraft to date through the U.S. government’s Foreign Military Sales program. 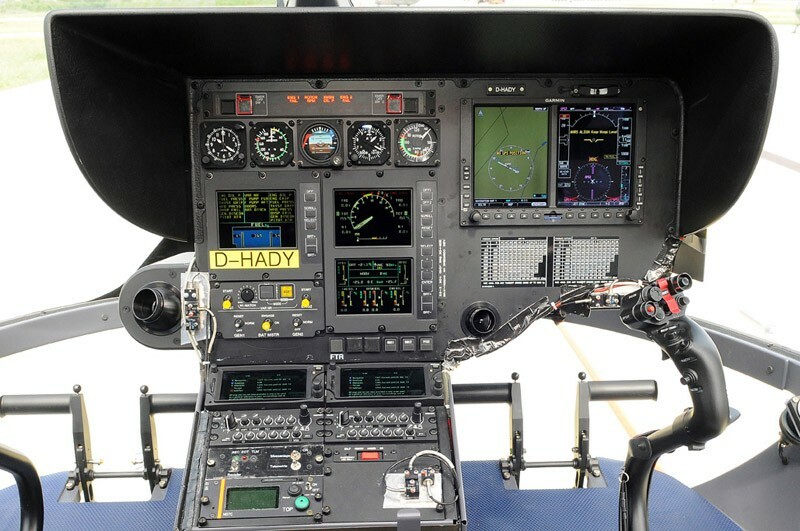 A modern, twin-engine helicopter, the UH-72A is a powerful, stable, and agile platform with a glass cockpit that is compatible with night vision goggles. The Lakota is also single-pilot Instrument Flight Rules certified. It has the lowest cost to buy, own and operate of any U.S. military helicopter in production. 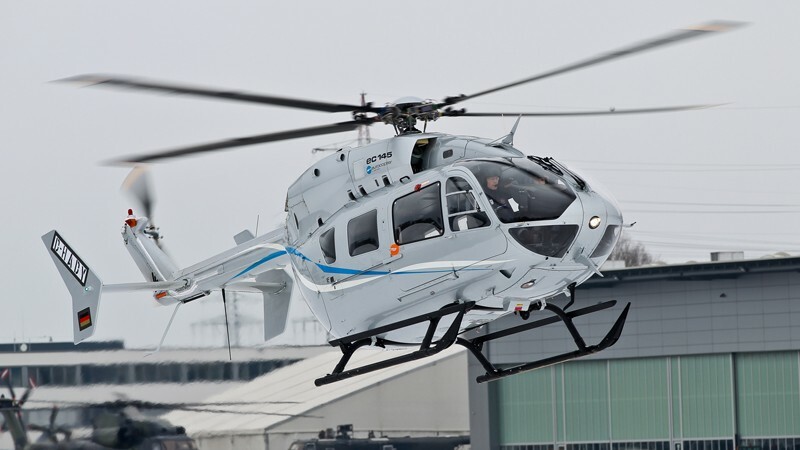 Airbus Group delivered to the U.S. Army the first UH-72A Lakota helicopter (a militarized version of the Eurocopter EC145) to come off the Airbus Helicopters Inc. production line configured for the Lakota’s latest mission, as the service’s initial-entry training helicopter. To date, the Department of Defense has ordered 411 Lakotas, 400 helicopters for the U.S. Army. With today’s delivery, 332 completed aircraft have been delivered – all on time and on budget – from the Airbus Helicopters Inc. production facility in Columbus, Mississippi. «For a program to succeed in the current budget environment, affordability and reliable program performance must accompany mission flexibility», said Allan McArtor, Airbus Group Chairman and CEO. «Since awarding the contract in 2006, the Army has managed this program unfailingly on cost and on schedule, and we’re proud to see that record continue as we deliver the latest configuration of this versatile, multi-mission aircraft». «We’re making the necessary important investments to ensure a successful transition of the Lakota into training operations at Fort Rucker», said Marc Paganini, President and CEO of Airbus Helicopters Inc. «We’re honored that future Army aviators will begin their flying careers at the controls of the Lakota». The Lakota was competitively selected in 2006 to fill a wide variety of roles for the Active Army and Army National Guard, including search and rescue, medical evacuation, border security, command and control, VIP transport, general utility and training. Army National Guard units, operating UH-72As equipped with the Security & Support Mission Equipment Package, are deployed supporting Customs and Border Protection missions along the U.S.-Mexico border. The Lakota is also operated in a training role by the U.S. Naval Test Pilot School. A modern, twin-engine aircraft, the UH-72A is a powerful, stable, and agile platform with a glass cockpit that is compatible with night vision goggles. The Lakota is single-pilot Instrument Flight Rules certified. It has the lowest cost to buy, own and operate of any U.S. military helicopter in production, and is built in Columbus, Mississippi, by a workforce that is 43 percent U.S. military veterans. 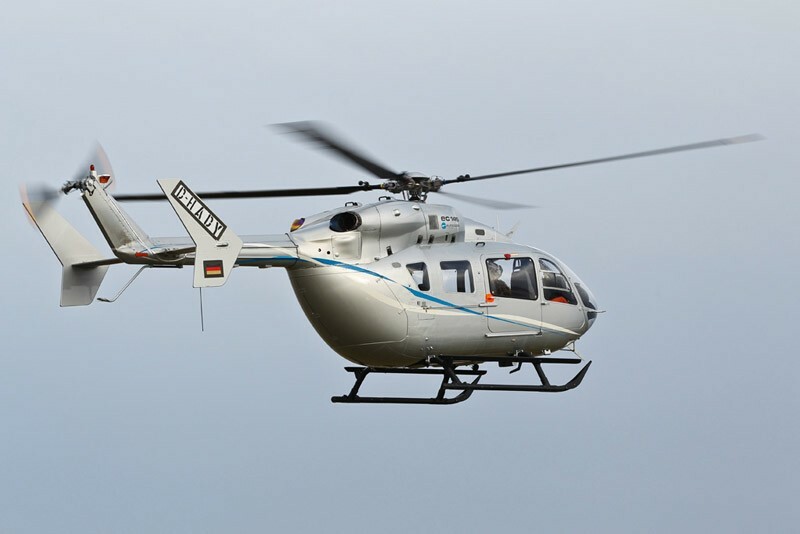 The Eurocopter EC145 is at the top of its class in the medium-sized. 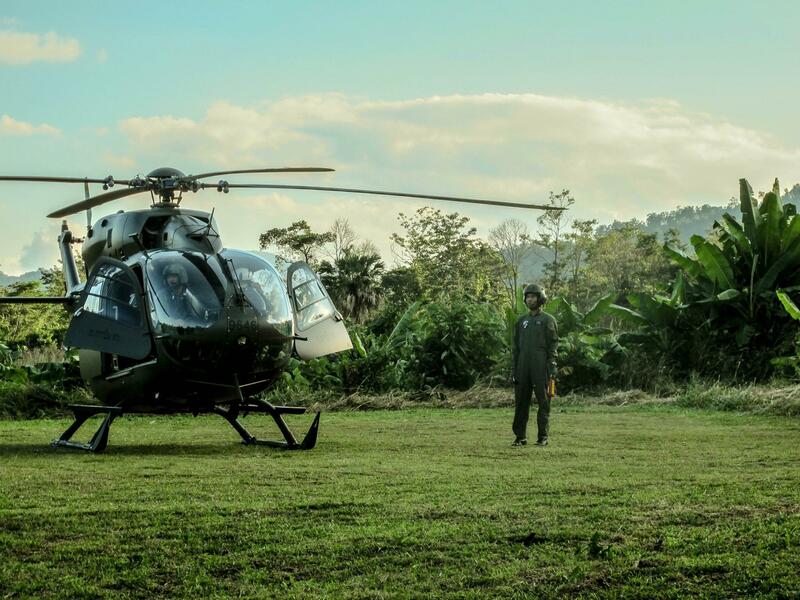 The EC145 is equipped with two Turbomeca Arriel 1E2 engines that deliver outstanding performance and vital power reserves – even in One-Engine-Inoperative (OEI) scenarios. Its reliability is further enhanced by a completely separate fuel system, a tandem hydraulic system, a dual electrical system and redundant lubrication for the main transmission. It is certified for single pilot Visual Flight Rules (VFR) day and night operation.